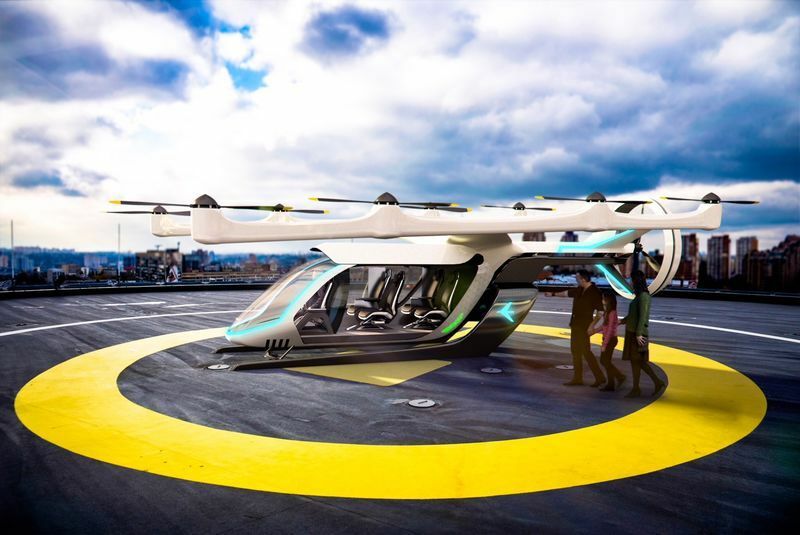 The Chinese Original Equipment Manufacturer, EHang, is one of the many companies progressing the urban air mobility industry as the idea of autonomous air taxis approaches reality. However, “innovation requires acceptance”. 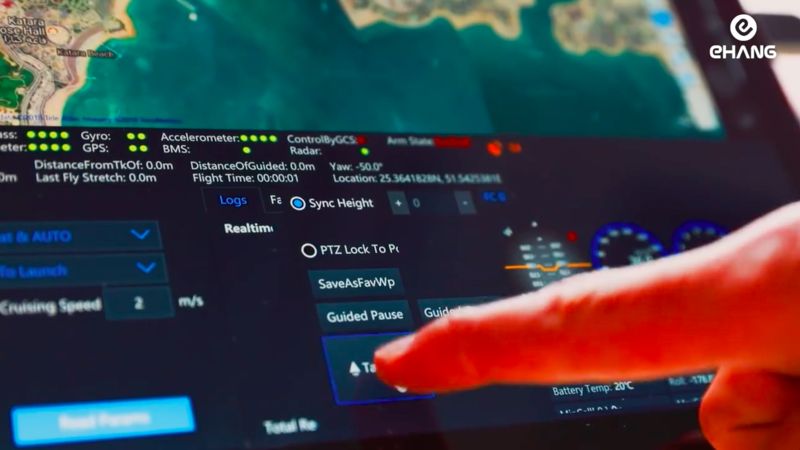 That is why EHang has joined a strategic partnership with FACC, the Austrian aviation company, and ProSiebenSat.1 PULS 4. 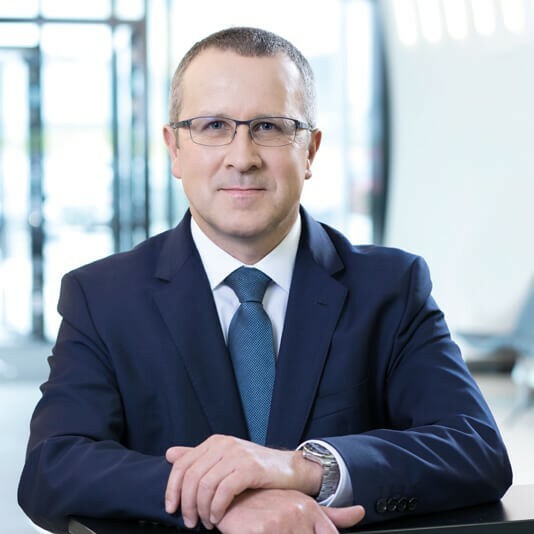 ProSiebenSat.1 PULS 4 is a company with a mission to promote the mobility systems of the future. 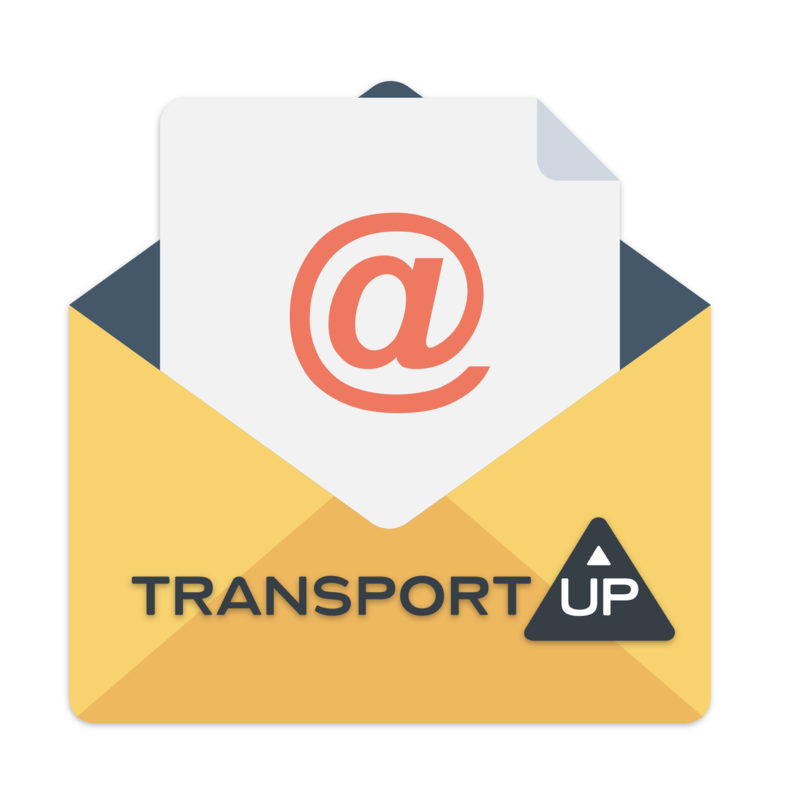 Through a media platform, they have cultivated an ecosystem to address the “future of mobility issues” and have organized a festival around this same idea. 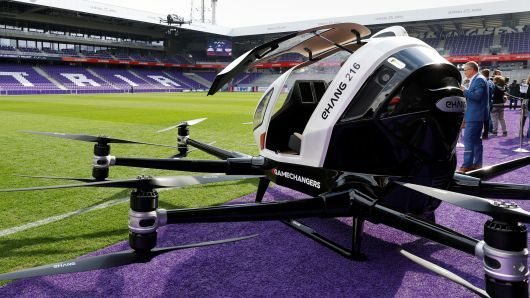 “The 4GAMECHANGERS Festival 2019 represents the starting gun for a broad media treatment in information, discussion, and docutainment formats on several broadcasters and on partner media.” At the Festival from April 9-11, attendees will have the chance to take a ride in EHang’s autonomous air vehicle for the first time. 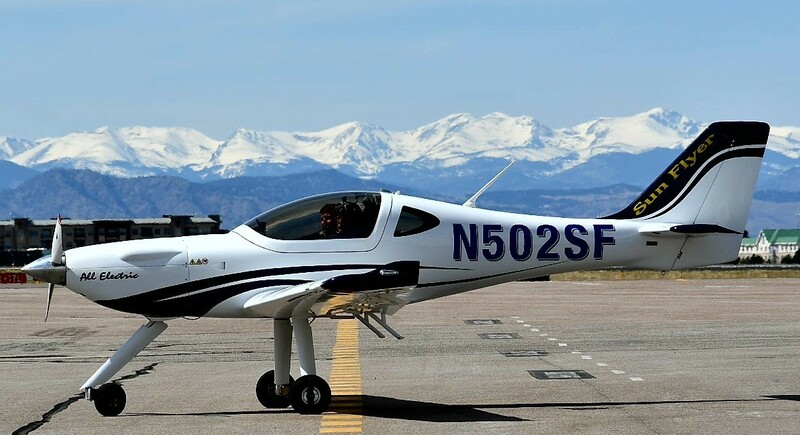 EHang’s partnership with composites manufacturer FACC will optimize the EHang 184 for production. 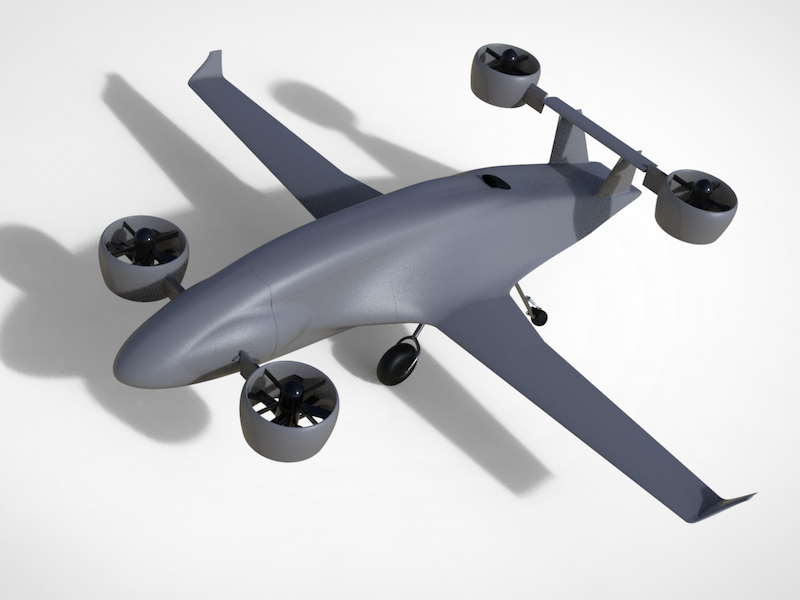 ProSiebanSat, FACC, and EHANG plan to take their autonomous air vehicle (AAV) to series production in Austria. 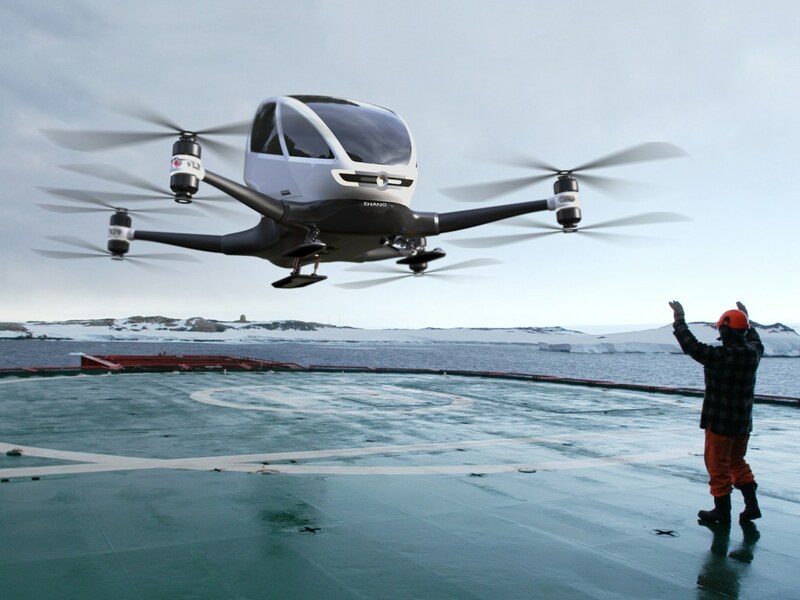 Within the partnership, EHang is the “inventor and expert for all questions having to do with autonomous flying, especially with respect to connectivity and software solutions”, according to a recent press release. 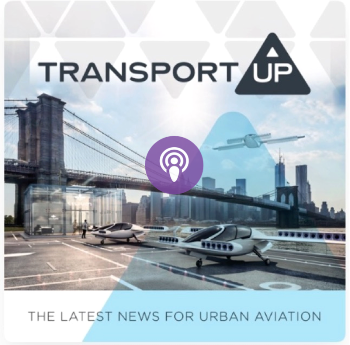 The triad’s goal is to advance and accelerate the future of air urban air mobility, and they “view the project as a chance for Austria and Europe as a whole to position themselves as pioneers”. 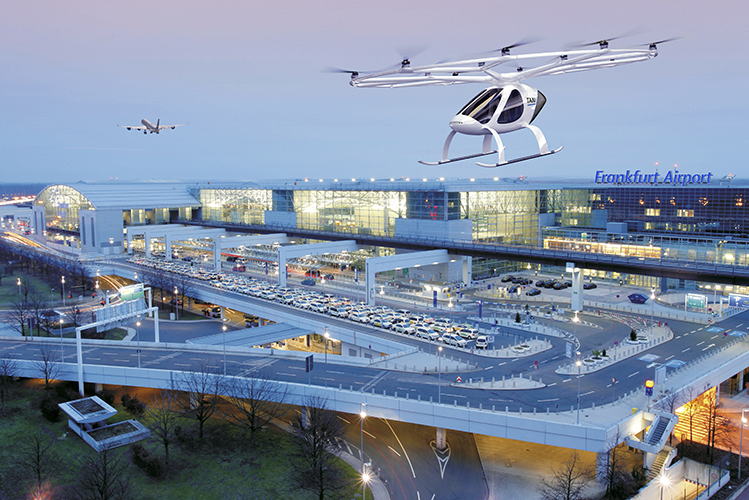 By expediting the creation of a test area and coordinating with politicians and aviation authorities, the group hopes to tackle the challenge of regulation. 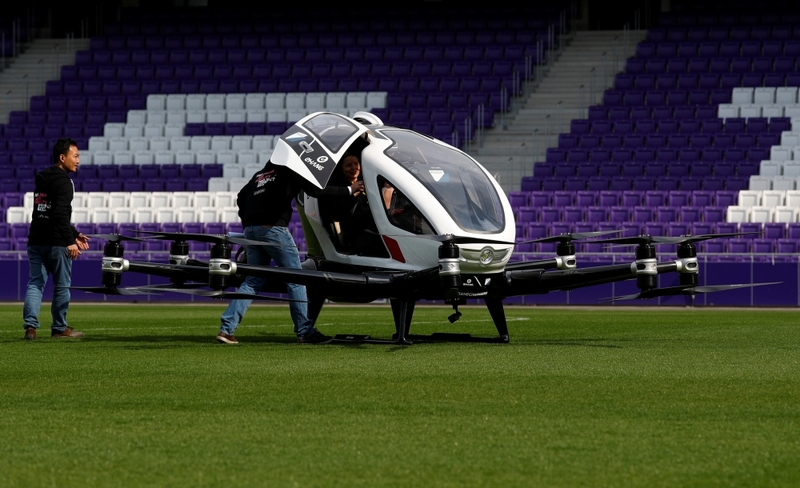 For technical specifications on EHang’s AAV, visit the Hangar. 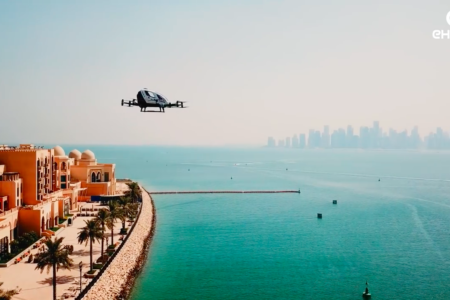 While the regulatory hurdles are high, ProSiebenSat.1 PULS 4 has created www.urban-air-mobility.io as a platform to increase the accessibility and public exposure of these challenges, as well as the progress that is being made to address them. 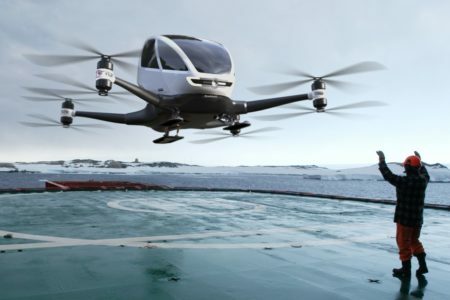 Also, EHang CEO Mr. Huazhi HU states that “given stable 5G infrastructures, autonomous flying will soon be reality, offering customers a new dimension of convenience.” Interestingly, it is likely that autonomous flying vehicles will be in service even before commercialized autonomous cars due to the simplicity of aerial transit route design. 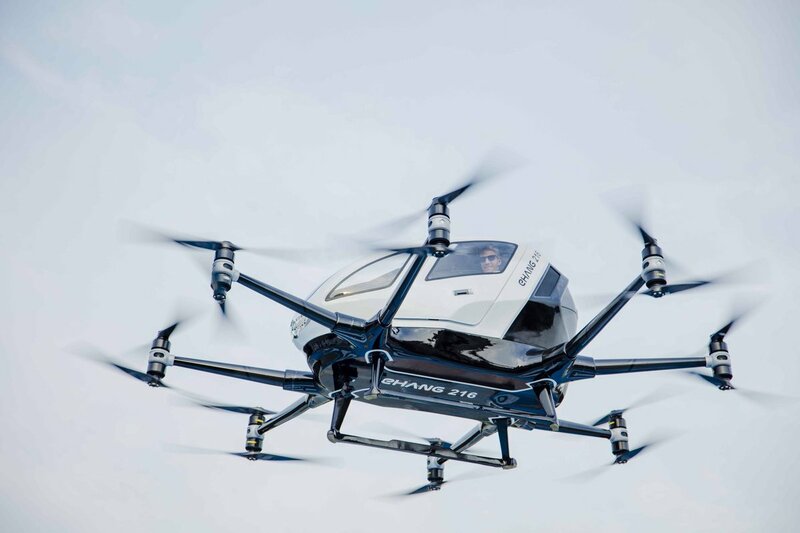 Why it’s important: EHang, FACC, and ProSiebenSat.1 PULS 4 have detailed a plan to produce their AAV in Austria, while also encouraging other urban air mobility companies by providing a path for regulation and public acceptance. 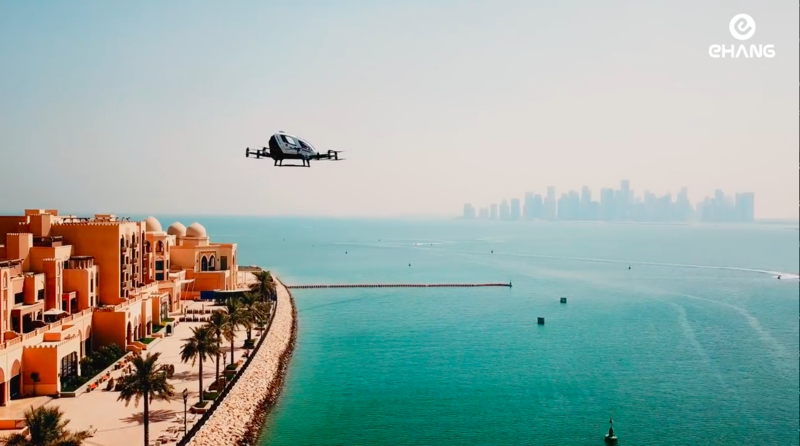 Additionally, the GAMECHANGERS Festival will provide the first public opportunity to ride in an autonomous air vehicle slated for commercialization. 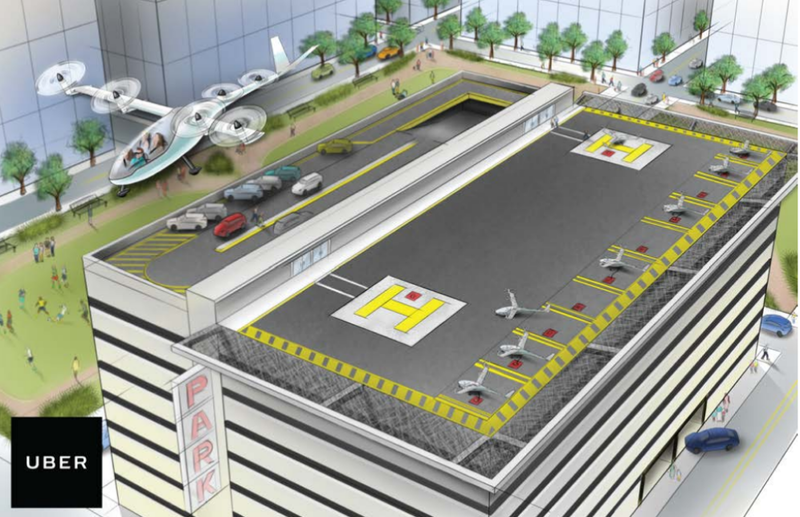 These milestones mark great advancement in the urban aviation industry as a whole. Ghuangzhou, China based EHANG released a video of some of their most notable passengers during flight demonstrations of the EHANG 184 air taxi during 2018. Notable persons include FACC executives, VC Fund Managers, the Mayor of Ghuangzhou, and others. 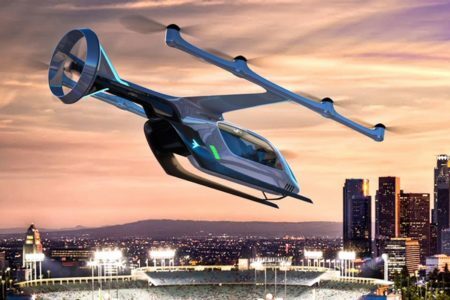 The release of this video comes after the company announced on November that it will be developing an all-electric medium to long range aircraft that is capable of autonomous electric flight (the EH 580) and an all-electric cargo drone (the FlyShark 200) at the Zhuhai airshow. 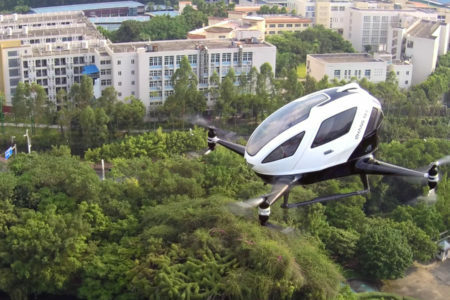 Other notable achievements of one of the leading Chinese eVTOL manufacturers include the completion of demonstration flights in other test locales, not just Ghuangzhou – Amsterdam, Doha, and Mattersburg, Austria were among the other cities that hosted demonstration flights. 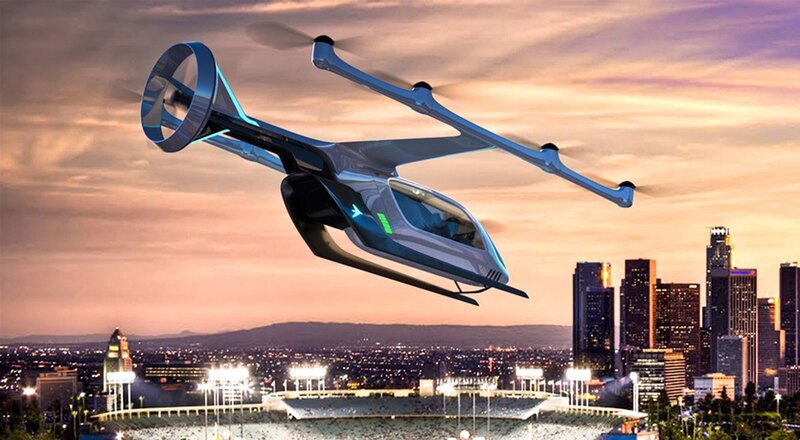 While the EHANG 184 Autonomous Air Vehicle (AAV) is not yet in a commercially operational state, EHANG is well versed in addressing some of the other challenges that involve low-altitude airspace and flight operations, such as navigating complex airspace in crowded, urban environments. 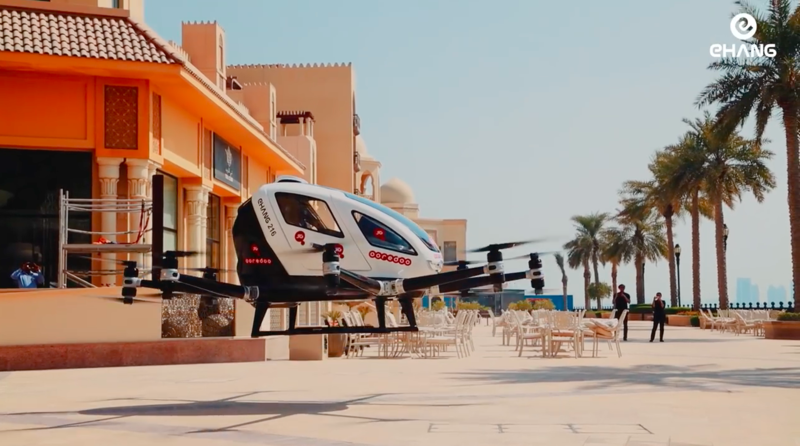 The company has extensive experience with drone operations, and has agreements in place for drone delivery services in Ghuangzhou, China in partnership with Yonghui Group, a retailer. The company regularly performs “drone light shows” of which 78 were completed last year in 42 different cities. 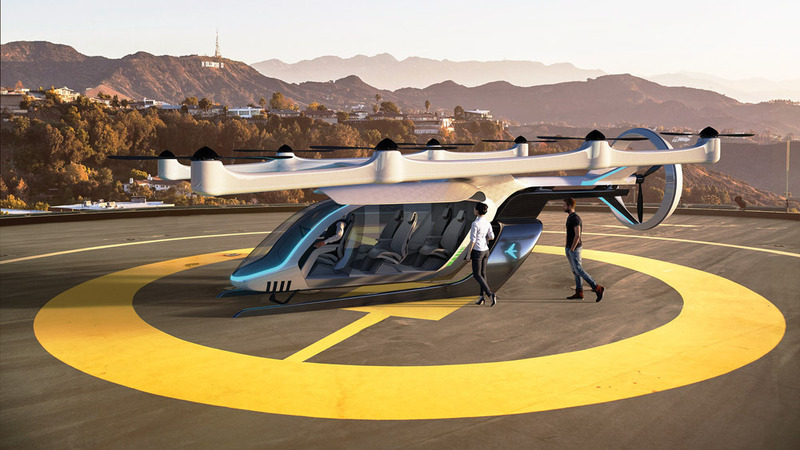 Why it’s important: EHANG’s 2018 recap was not transformative, but rather contained validations of the progress of the company that many were following closely throughout 2018. 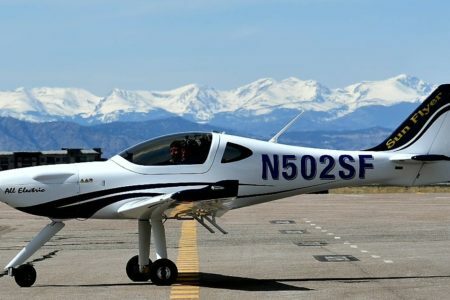 Of note, however, is the very conscious effort the company is making to demonstrate that their AAV is safe, requires no special skills to operate, and is exciting to fly. 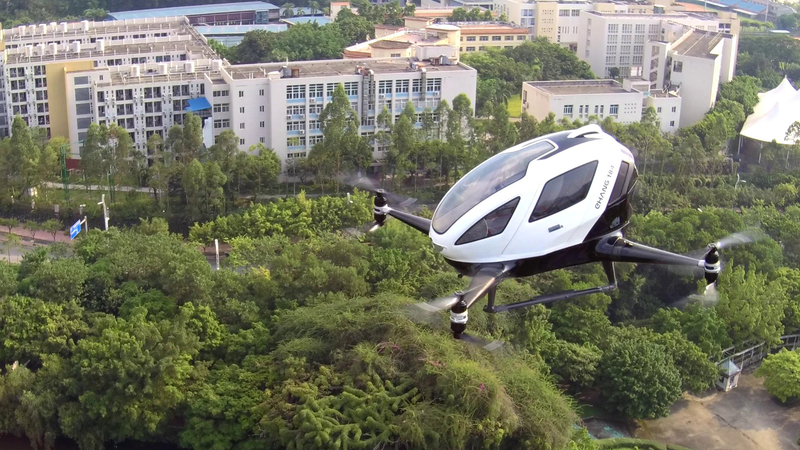 The numerous public demonstration flights that are detailed in their recap video attest to the level of approval that many of the executives, press, and EHANG employees have when flying in the AAV. 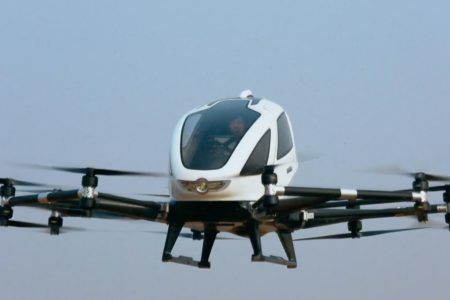 Keep a watch on EHANG in 2019 as they progress through the certification of the AAV with the Civil Aviation Authority of China (CAAC). 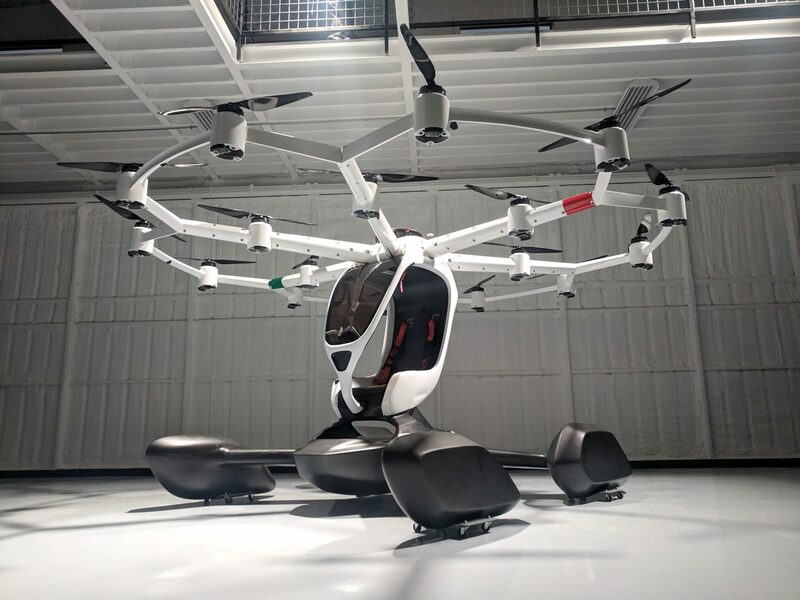 EHang has signed with Austrian composites manufacturer FACC to optimize the EHang 184 for production, marking the next step in the 184’s journey to commercial use. 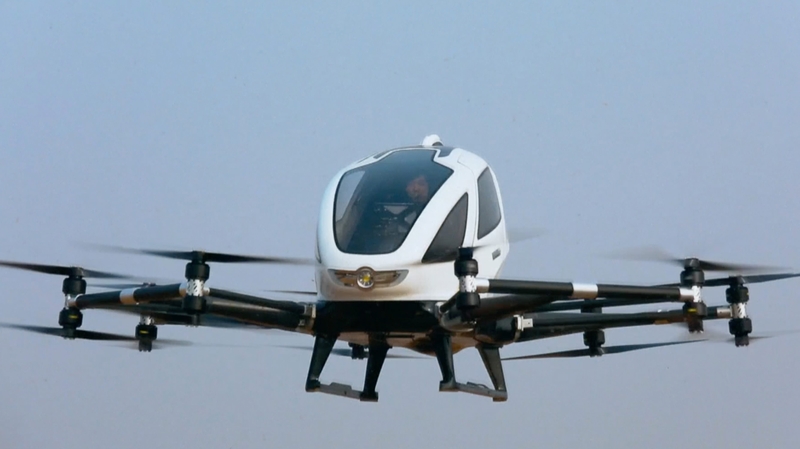 The EHang 184 is a two-passenger, quad-rotor eVTOL capable of flying about 35 miles between each charge. 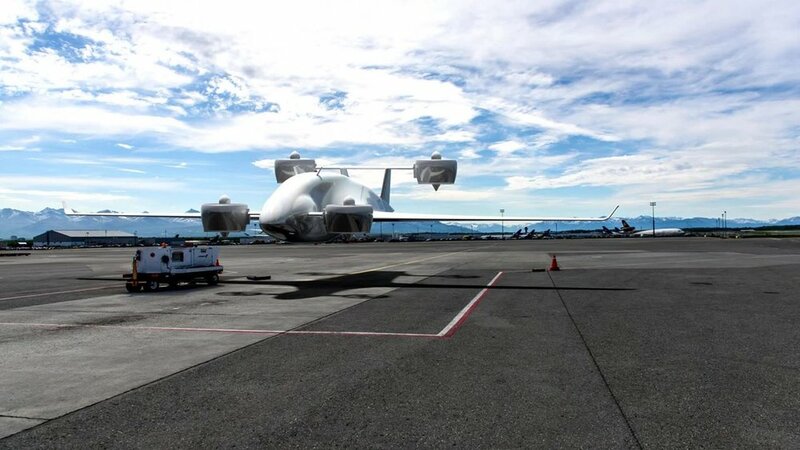 The 184 has completed over 1,000 passenger flight tests in places like Dubai, China and other countries. 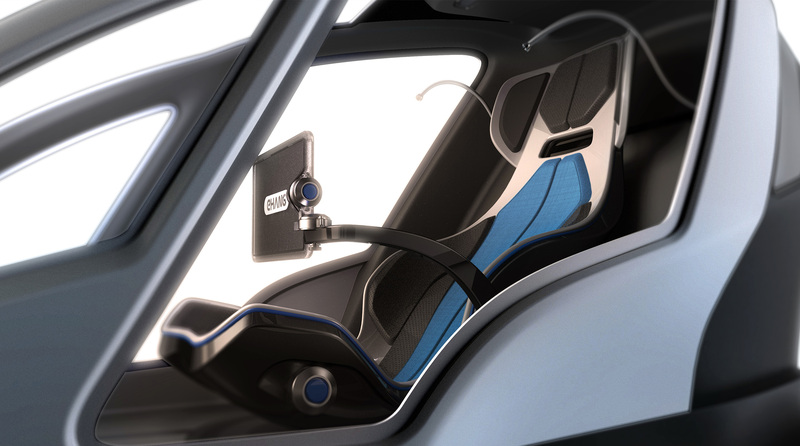 You can learn more about the EHang 184 here. 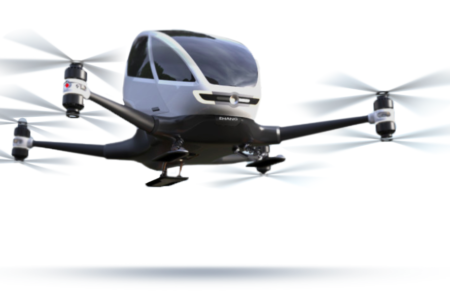 In an important step last week, EHang signed with composite manufacture FACC AG to optimize the EHang 184 for production. 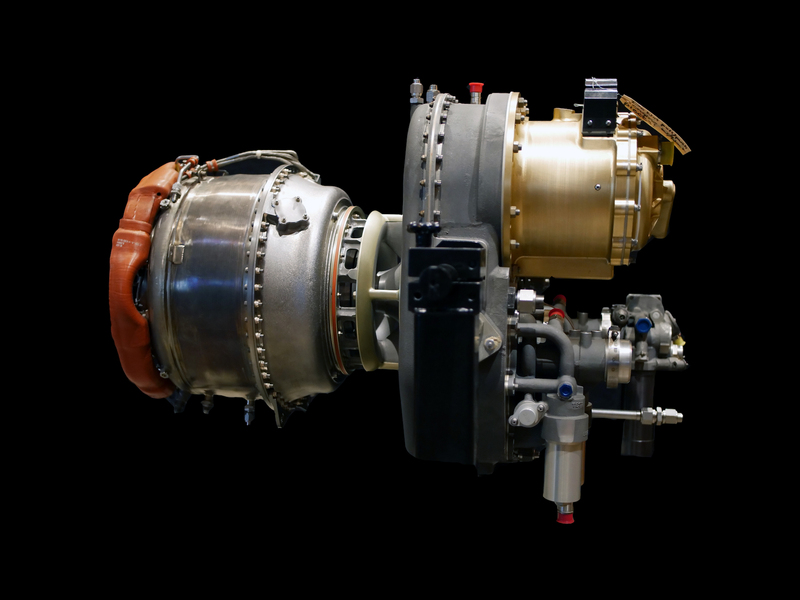 FACC AG is a subsidiary Chinese aerospace group AVIC. 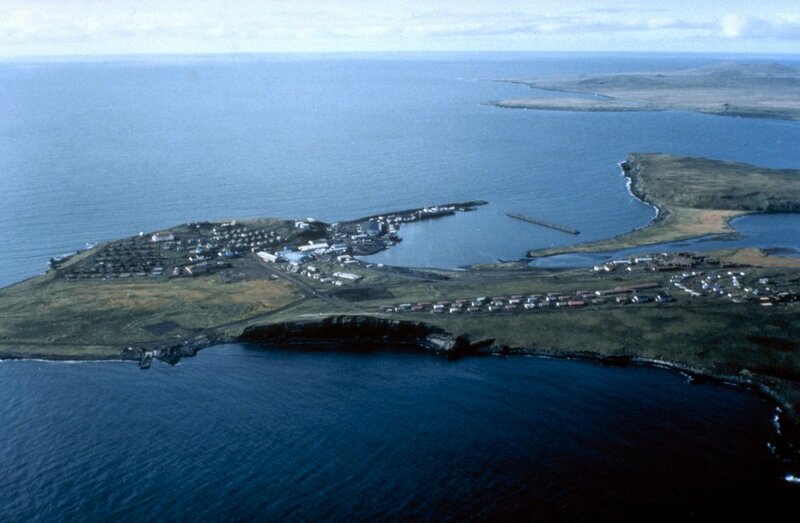 The agreement will include the development of a test site in Austria. 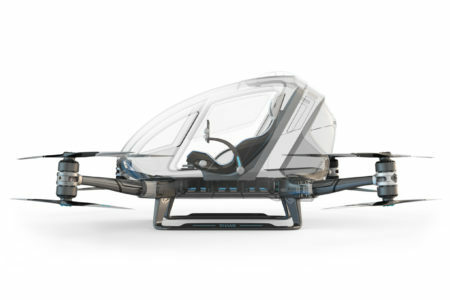 This agreement is important to note because the partnership will allow EHang to move beyond prototyping into production. 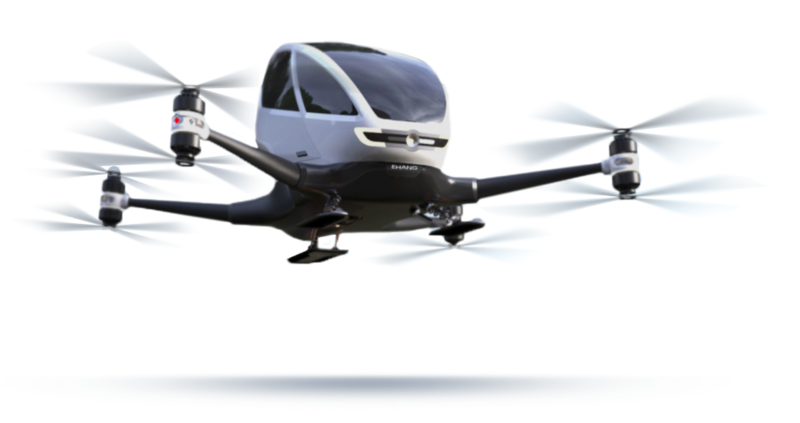 In the new partnership, EHang’s responsibilities will involve readying and managing the connectivity and software for autonomous air mobility, while FACC will focus on the hardware necessary for mass production and certification. 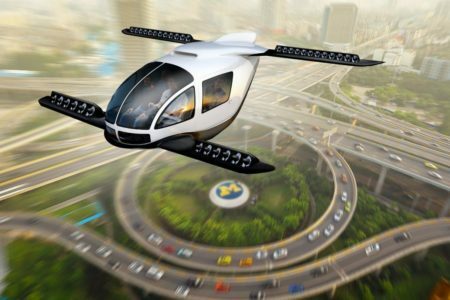 Why it’s important: EHang’s partnership with FACC marks the first step toward serial production. 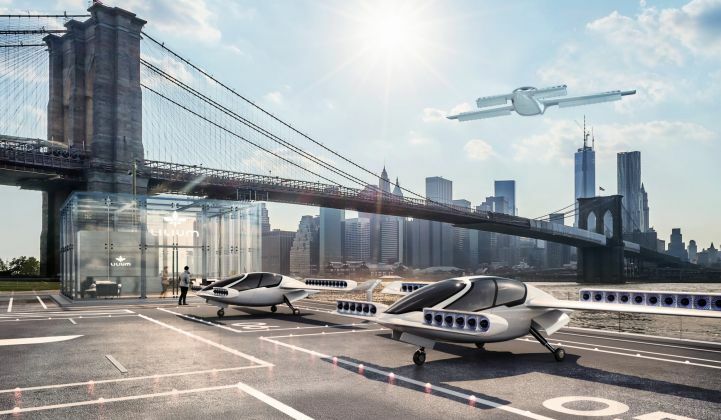 As regulatory hurdles begin to be passed, demand for urban aviation vehicles will come in far higher volumes than can be built through prototype building methods. 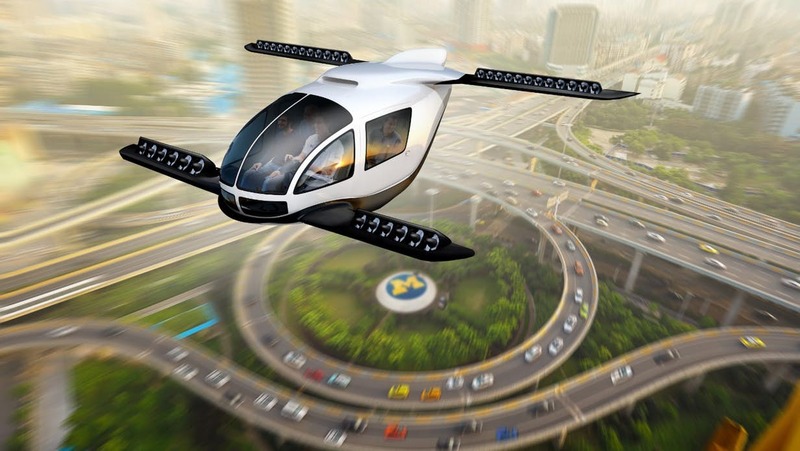 EHang’s partnership with FACC will allow EHang to become one of the first to meet the demand for commercial air taxis. 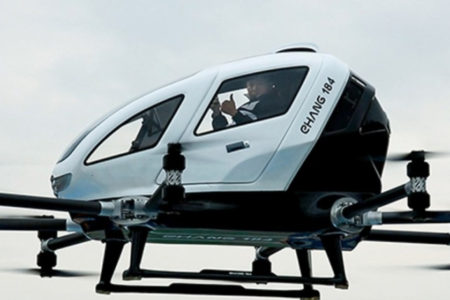 The Ehang 184 is the largest vehicle that Ehang, a Chinese company, has manufactured to date. Ehang mostly specializes in smaller drone technologies, but has literally scaled their experience and product with the 184. 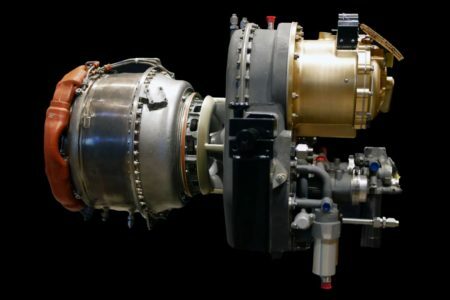 The 184 has conducted successful flight tests in extreme environments, including a typhoon, and has hosted numerous public demonstration flights. Ehang is quite popular in China, but has not had the global presence that some other companies (such as Volocopter) have pursued in their marketing campaigns. 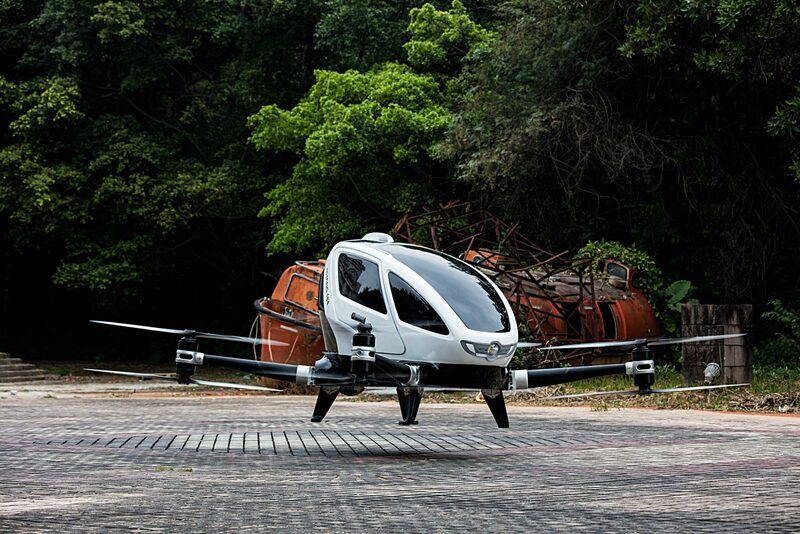 Ehang, based in Guangzhou, China. 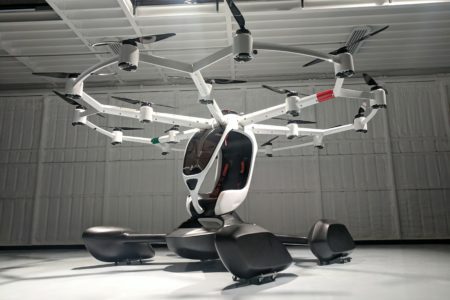 Ehang boasts more drone building experience than most other eVTOL manufacturers, and seemed to have benefited from approaching the eVTOL design process by scaling up their previous drone projects, designing an autonomous vehicle from the start, and conducting rigorous testing early and often. 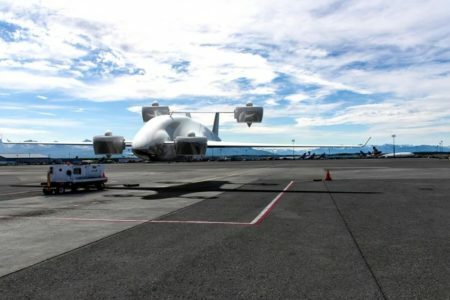 The company is only 4 years old, and has rapidly filled a large product line and advanced drone technology in that time frame. Their apparent good relationships with Chinese local and national government officials seems to also aid their progress. 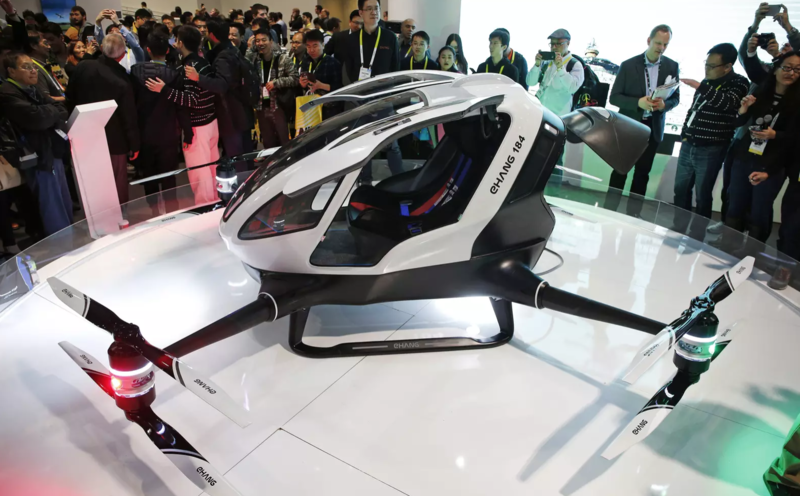 Given the huge emerging market for on-demand transportation in China, and Asia in general, Ehang has great potential to make a huge impact on the way people move. 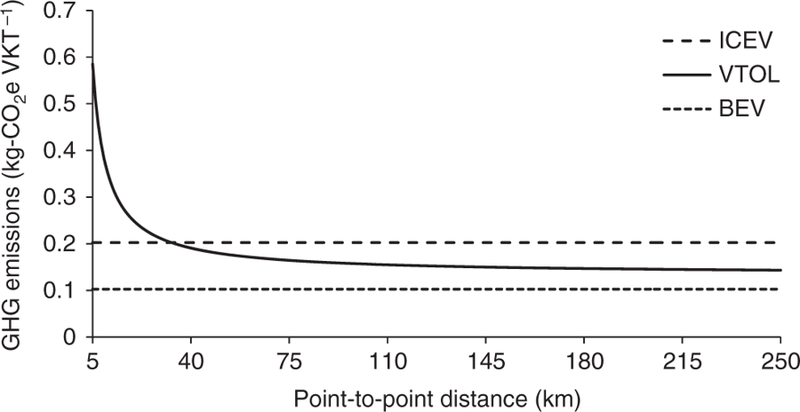 Furthermore, the recent explosion of ride-sharing services like Uber and Grab in Asia will aid in shifting public sentiment toward accepting on-demand transportation, regardless of mode.